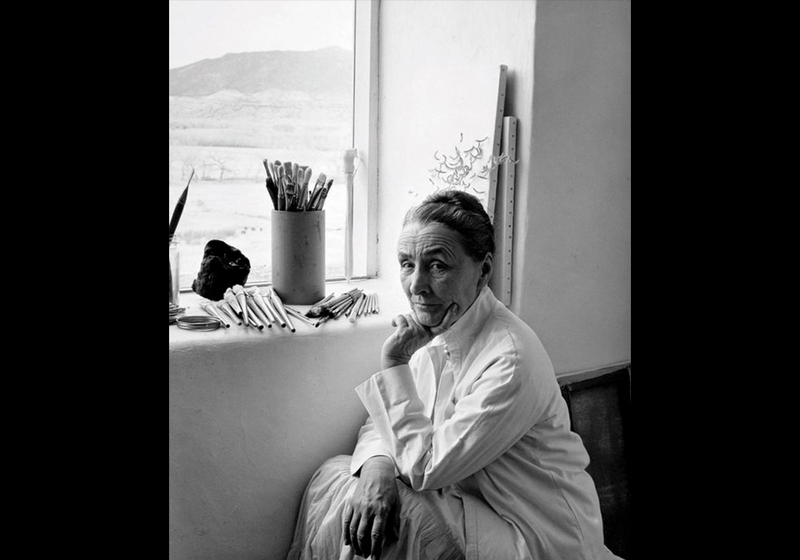 The artist Georgia O’Keefe spent her last 40 years of life in two ranches in New Mexico, The Ghost Ranch and Abiquiú, looking for isolation and a direct contact with nature. Without telephone line and an autonomous electricity generator, her work in that period was very influenced by the almost unreal landscapes of the desert. The interiors of her houses can be considered as a part of her oeuvre as well: a mix between zen minimalism, the purity of rationalism and the character of that landscape surrounding them.